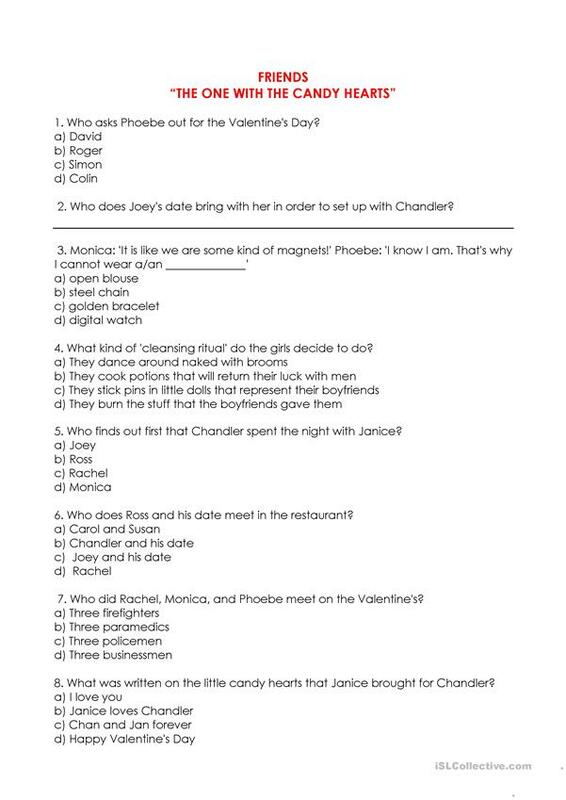 A Friends episode to work on Valentine's Day ("The one with the Candy Hearts"- first season) + questions about the episode. This downloadable teaching material is intended for high school students and adults at Intermediate (B1) level. It is useful for developing your groups' Listening, Reading and Writing skills. Jugatinha is from/lives in Brazil and has been a member of iSLCollective since 2011-02-04 18:25:17. Jugatinha last logged in on 2018-12-07 13:48:10, and has shared 2 resources on iSLCollective so far.